This tutorial will review the process of editing the store’s basic information using Thelia. This will allow you to set the name of your website, contact details, store address, etc. To edit the basic information for your website, you need to access the administrative area of your Thelia installation. Then, click on the Configuration button at the top menu. 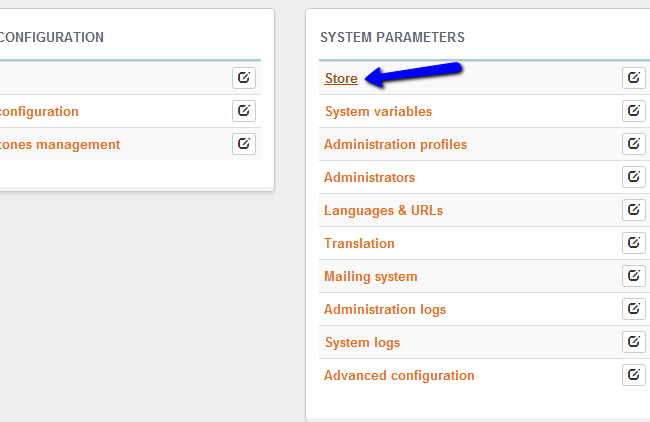 Locate the System Parameters tab and then click on Store. General - Enter the name of your store, phone number, Business ID, email address, etc. 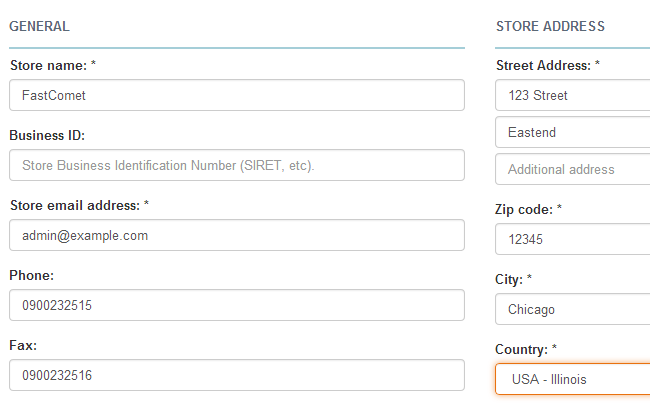 Store Address - Enter the address of your store, the city, country, etc. When you are ready with the changes, simply click on the Save and close button to keep them.